Growing up in Richmond, Chioke Jelani Clanton never thought about becoming an actor. “I stumbled into acting. It wasn’t my dream,” says the actor who is starring in “Red Sleep,” a web series premiering this fall. Written and directed by Andrew Welsh, “Red Sleep” is named after a drug administered to the actor in the series. The Richmond native was drawn to the project because it addresses a serious topic: The abuse of prisoners, medical experimentation on inmates and racism, Clanton says. “Inmates are abused, tortured, assaulted and sometimes forced to accept medical experimentation for freedom,” says the 35-year-old actor who plays the role of a prison inmate who makes a deal with the United States military in exchange for his freedom. In the series, the actor is taken against his will from San Quentin State Prison by the army and is given an opportunity to have his criminal record expunged if he agrees to being a test subject for a drug called Red Sleep. The series comes at a time when the federal government is proposing to bring in prison reforms across the country in order to reduce overcrowding in prisons. The largest group behind bars is men and women classified as non-whites, Clanton says. “They are in jail on ridiculous charges. No one speaks for them. I have seen people who are behind bars for many years. They need justice and freedom,” says the actor, letting his emotions show. On Monday, Attorney General Eric H. Holder Jr. addressed the American Bar Association in San Francisco citing a “deeply troubling report” that indicates that black male offenders have received sentences nearly 20 percent longer than those imposed on white men convicted of similar crimes. As a result, Holder directed his 94 U.S. attorneys across the country to stop charging low-level, non-violent drug offenders with offenses that call for severe mandatory sentences. Holder said the disparities in the criminal justice system unfairly hit poor and minority communities. That rings true for Clanton, who grew up in John F. Kennedy Manor, a poor neighborhood in Richmond. The recent non-guilty verdict in the case of Trayvon Martin in Sanford, Fla. who was shot by a neighborhood watch volunteer, is an example of the inequality in the justice system, Clanton says. Clanton says the environment he grew up in was destructive. “The sale of drugs was a big problem. Violence among different community members was a big problem. Part of the reason I tried to get out of the place was to find some type of solace, some type of understanding and some type of truth. A lot of people in Richmond have no direction,” he says. Residents in poor communities are also at a disadvantage because they’re dealing with environmental issues, according to the actor. 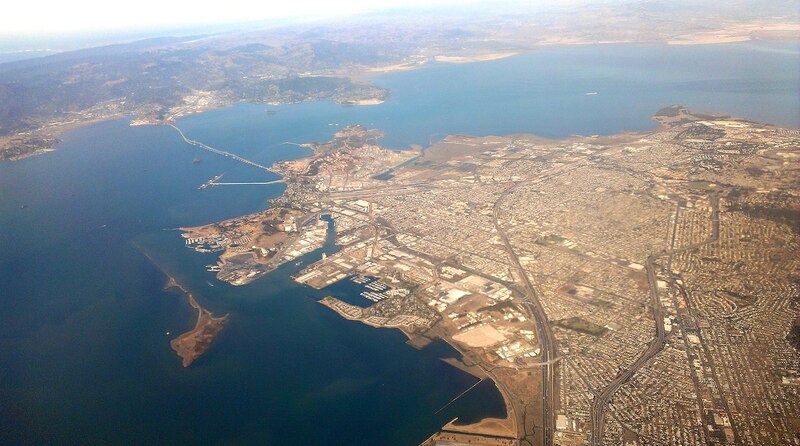 The presence of the Chevron oil refinery in Richmond has not done any good to the community, he adds. “I grew up with various respiratory ailments because of Chevron. I remember my mom taking me to doctors and putting me on different types of breathing apparatuses. Chevron pumps out a lot of pollutants in the air. It is difficult to walk down the street because of the pollution,” he says. At 17 years old, Clanton moved to Los Angeles in search of better living conditions. However, his family still lives in Richmond. In Los Angeles, the actor started his career by doing voice-overs for educational and video sports games. His film career started 10 years ago with an independent privately funded feature film titled, “Financial Aid,” which had a limited theater release. “I started learning about the industry and the craft of acting. It was great acting in the film. I was able to learn from other cast members and the filmmaker. I enjoyed it,” Clanton says. Action-packed “Red Sleep” was shot in San Francisco, Oakland and Los Angeles. Other actors in the series include Jessica Sonneborn, Don Stark and Jessica Roth.